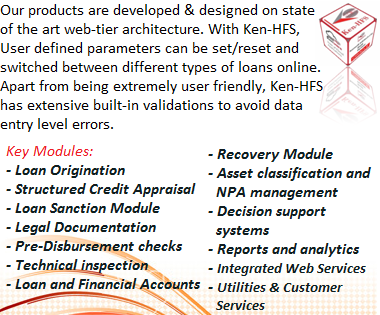 Kensoft's Software Products are certified by Bureau Veritas for proactive integrity with advanced security verification modules. Our Products enable automation of core processes, enforcement of policy/rules, and seamless integration of all business operations. 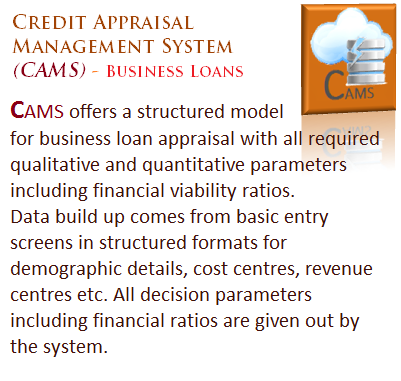 Our specialised range of Enterprise scale Software Products with a Financial Decision Support Ecosystem. 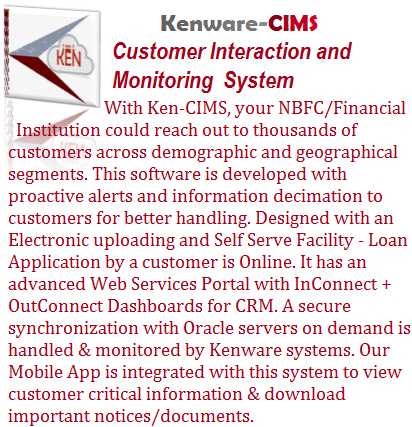 These Software Products are part of the Kenware Suite which is designed & developed on state of the art web-tier architecture with superior performance for medium to high volume environments. Mission Statement: More Competence...Less Hype. We believe that 'it does not take a bulldozer to plant a rose!' 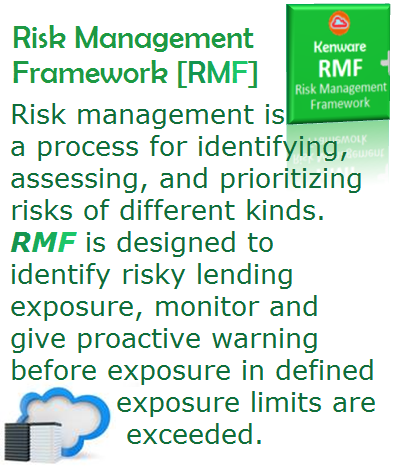 Keeping this in mind, our Software is designed, developed & implemented using a solid foundation to ensure automation of core processes, enforcement of policy/rules, and seamless integration of all your business operations. Some of the many key differentiators of our products earned us the National Award for Excellence in IT | 48th CSI Convention. 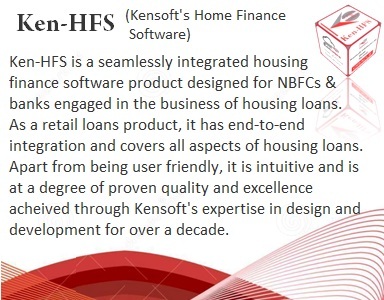 Over Rs.50,000 crores of finance and related activities are handled and monitored by Kensoft's software systems for various blue chips and multi-location based corporate giants. Our Software is designed & built on multi-tier architecture with proactive controls & dynamic MIS dashboards to monitor tasks effectively on medium to large volume environments. 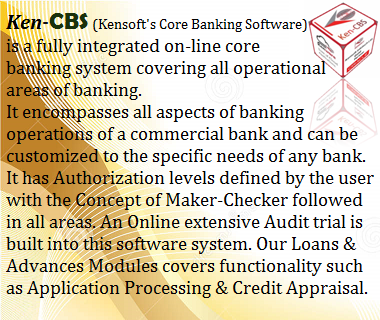 Kensoft offers state of the art Customized Enterprise Software Solutions and 3-tier Cloud Products. 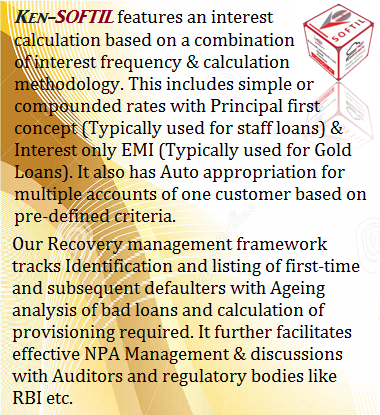 Our Domain enriched IPR based software products are aimed at delivering the desired outcome for your organisation. 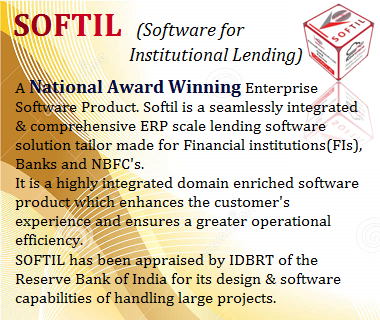 Coherent development in India & abroad has helped shape our software products to provide strong models for the Financial Enterprise. 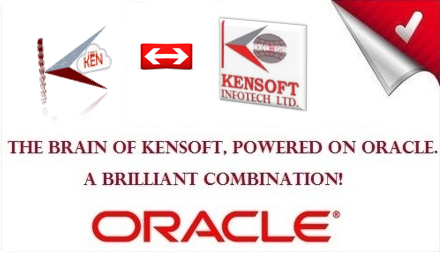 With Kensoft's Software Systems, you get an extensive knowledge base with advanced Decision Support Systems to leap-frog your organisation to the next level. 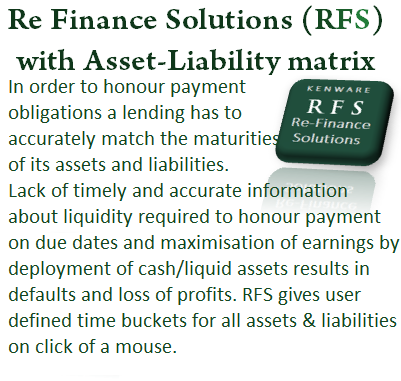 We have a wide range of banking/ lending Software Solutions which are tailor made for Non Banking Finance Companies (NBFCs), Financial Institutions (FIs) and Commercial Banks. With experience in delivering Business Critical Applications, our products are designed with best in class Oracle technology. 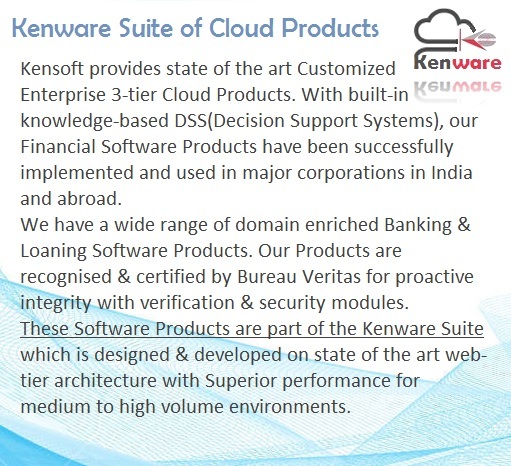 A specialised range - Kenware Suite of Cloud Products can drive your business with highly integrated enterprise ready applications built for the BFSI industry. 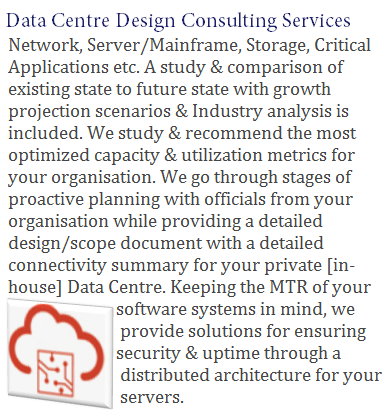 Designed, developed & successfully implemented for multi-location based corporate giants in India & abroad. 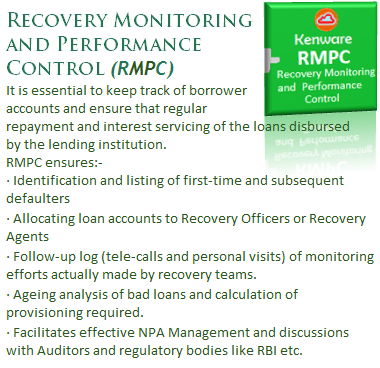 Our highly integrated Enterprise Lending Software Products have handled & monitored the entire life cycle of business operations for ICICI Bank, GIC HF, Bank of India and many other esteemed Corporations/Financial Institutions. 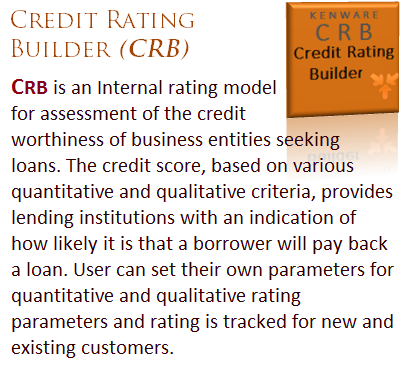 It is evident that you get access to our extensive knowledgebase with our products. 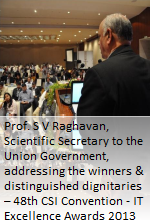 For benchmarking excellence in IT, the 48th CSI Awards Convention included the following participants & finalists: Datamatics Global Services, iGate, IBM, Reliance Infra, Tech Mahindra & other companies of distinguished stature. With Knowledge Partner: Delloite, the evaluation process included a rigorous three tier selection process to select the winners. The Jury comprised of: Top Industrialists , Renowned Academicians and well known practitioner's of Information and Communication Technology. Key Aspects of our Software & it's comprehensive workflow have been studied & reviewed by students & professors of Youngstown & Ohio State University, USA and IIT, Bombay. With a high ROI, we are certain that our Award Winning Software Products will help your enterprise leap-frog to the next level. With our build-up of advanced libraries, all customisation is done in the fastest turnaround time. 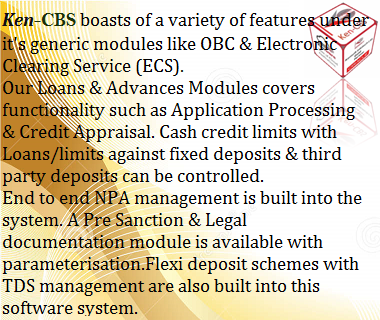 Our experience ranges from eGovernance projects to development & implementation of Business critical applications for NBFCs, Commercial Banks & FIs. We have built a large base of IP (Intellectual property) in software products over the years. With firm domain knowledge & technical expertise built over 15 years, gained from meaningful experience of development and implementation of large-scale projects with inputs from industry stalwarts. 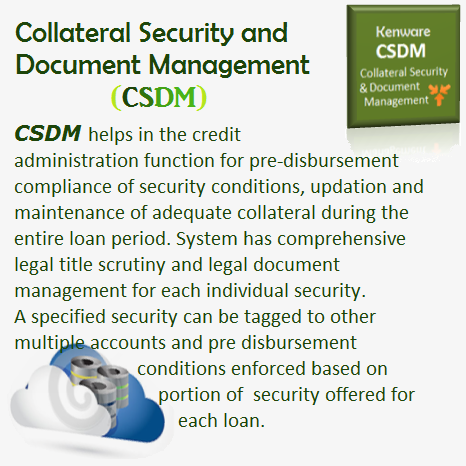 Some of the many key differentiators of our products are the intuitive DSS which enforce Business policy while offering a multi-fold increase in productivity to the user. 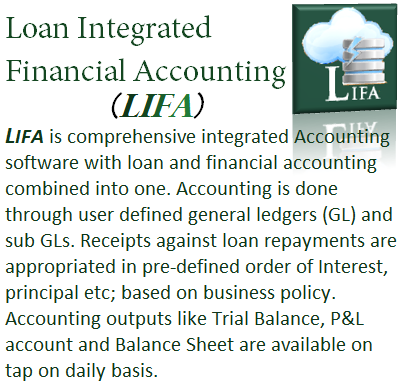 You can find us on 475 Wall Street, Princeton, NJ 08540 USA. Contact us to learn more about how your organisation can improve overall operational efficiency with our state of the art Software Products.